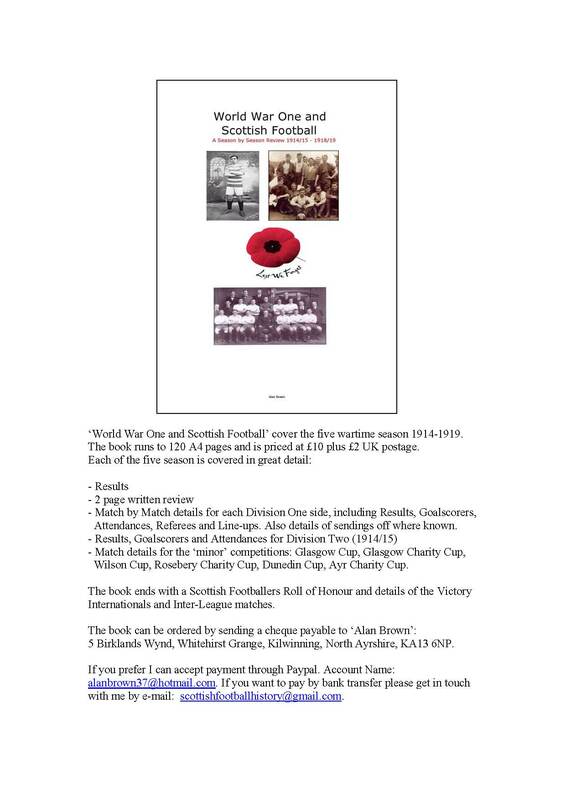 There is a growing body of literature and research into sport during the First World War, and an excellent addition is this excellent new book by Alan Brown, World War One and Scottish Football. The Ayrshire-based researcher has put together a comprehensive review of senior football from 1914 to 1919, much of it published for the first time. Alongside a commentary of major events, there are full team lines and goalscorers for every Scottish League match (note that the Scottish Football League continued during the conflict, unlike the situation in England), as well as local cup competitions. He has identified over a hundred professional footballers with a Scottish connection who were killed in the conflict, with a short biography of each.